After “Hot Hits” was discontinued in 1973, MFP initially refrained from issuing further pop covers albums – which is curious, because there are no indications that “Hot Hits” had become unpopular, and they might have sought to follow the series up. After a while, they did just that by coming to an arrangement with Beatt International, for a new series to be launched at the end of 1974. 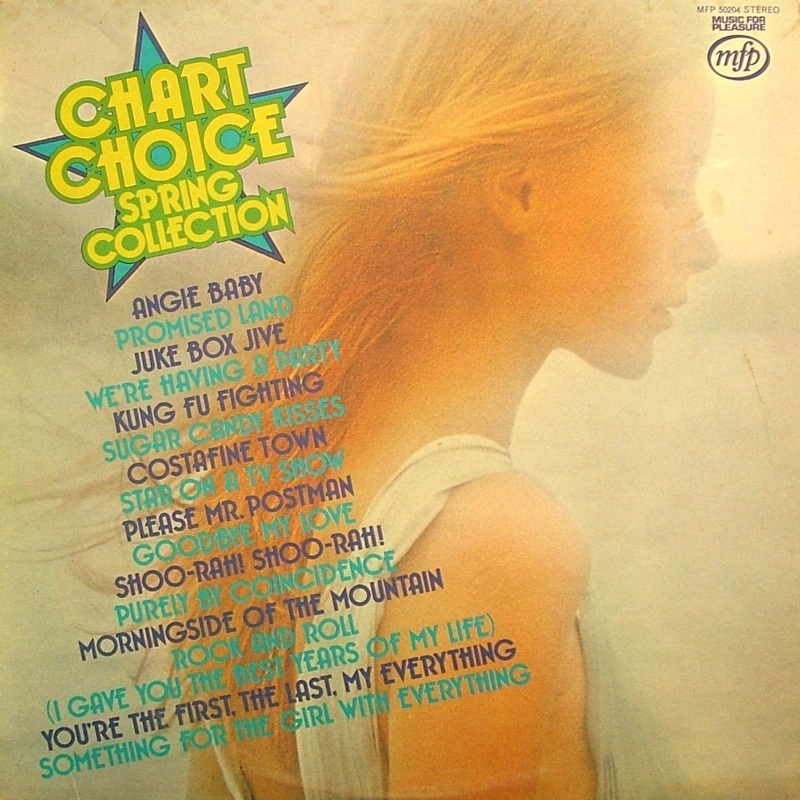 The ensuing albums, the “Chart Choice” series, appear not to have caught the public’s imagination – possibly the soft-focus cover art was to blame, breaking style somewhat with the usual saucy sleeves. In the event the series ran to just three installments, terminating a mere six months after it had begun. 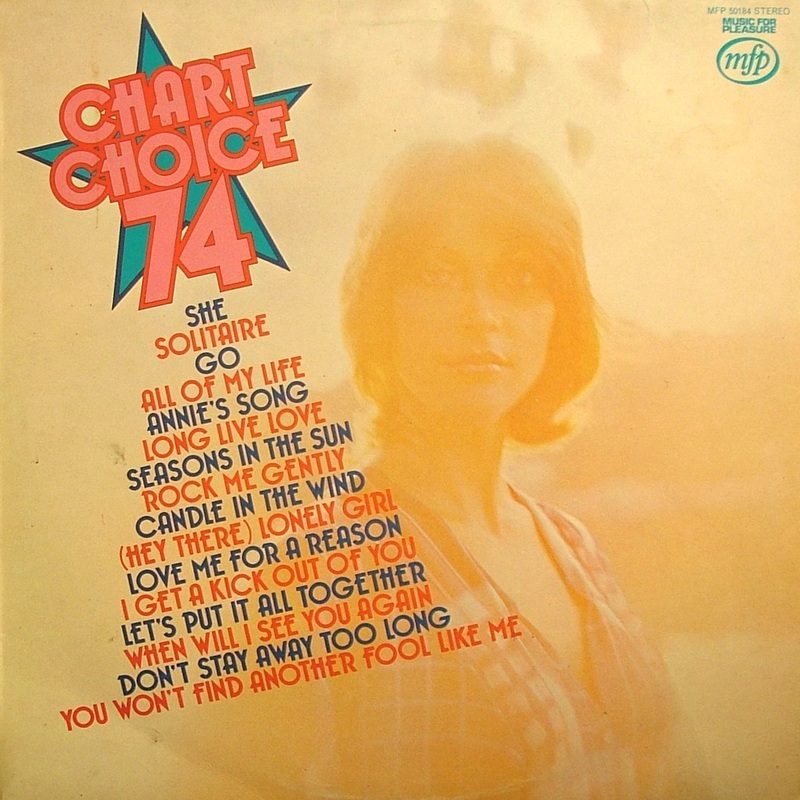 1 - "Chart Choice ’74"
Comments: Contents supplied by Beatt International. Photograph by Colin Glanfield. 2 - "Chart Choice Spring Collection"
Comments: Contents supplied by Beatt International. Photo by Tony Stone. 3 - "Chart Choice Summer Collection"
Comments: Contents supplied by Beatt International.